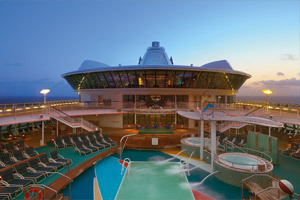 The 90,000+-ton Jewel of the Seas is one of Royal Caribbean's gorgeous Radiance Class cruise ships. Upon embarking the ship, into the beautiful ten-story glass-constructed Centrum, you'll know right from the start that you're going to have a fabulous cruise vacation. Refurbished in April 2016, guests will find onboard a number of enhancements, from room renovations to new specialty restaurants, and more! 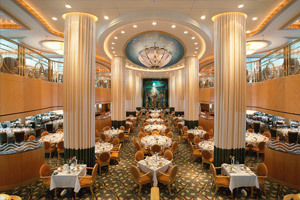 Among Jewel of the Seas' many dining options is the two-level Tides Main Dining Room, a number of upscale (optional) specialty restaurants (the newly added Giovanni's Table, an Italian restaurant, or Izumi, specializing in Japanese cuisine, as well as the updated Chops Grille, a steakhouse) that have a per person cover charge, the Windjammer Café (home to a large buffet with both indoor and outdoor seating), a pizzeria and 24-hour room service. 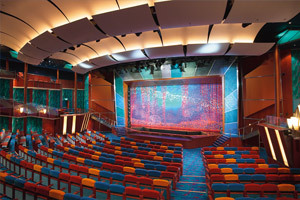 There are many entertainment venues and things to do aboard Jewel of the Seas. The Coral Theatre is a two-level show lounge, with a live nightly performance. Possible performances include Broadway-style productions, comedians, magicians, singers, dancers, acrobats and game shows. 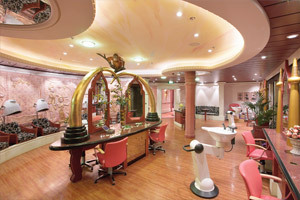 Also on board this ship is the wonderful full-service Day Spa and Fitness Center, with a variety of treatments available (such as massages, body wraps, facials, a thermal suite and acupuncture). 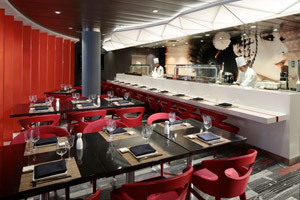 Other on board features include swimming pools, whirlpools, many bars and lounges, art gallery, duty-free boutiques, and internet cafe. There's a great youth program available on all Jewel of the Seas cruises. Fuel is a teen disco, where your teens can dance the night away and make new friends. Adventure Ocean® is the main youth facility, with lots of games and activities available for 3 to 17 year olds. Also on board is a video game arcade, sports court and Adventure Beach (a waterpark for kids, with a waterslide and pool). Following her dry dock in April 2016, Jewel of the Seas refreshment also included the addition of an outdoor movie screen, R Bar, a pub, digital signage, pervasive Wi-Fi shipwide (VOOM - the fastest internet at sea! ), flat-screen TVs, a nursery, Concierge Club and Diamond Lounge. This Balinese-style oasis at sea is filled with beautiful artwork, plush tropical gardens, a whirlpool, swimming pool and bar. 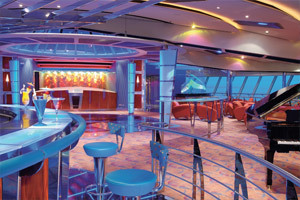 It's the perfect place to just relax and enjoy a cocktail while on a Jewel of the Seas cruise. Those on a Jewel of the Seas cruise that would like to test their luck may consider spending some time at the ship's large casino. Among the popular games available at this Vegas-style venue are blackjack, roulette, craps, poker and slot machines. 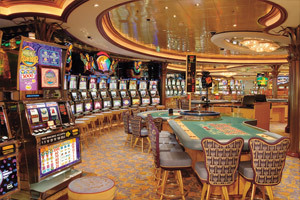 Tournaments are sometimes available on the cruise, featuring games such as Texas Hold'em. 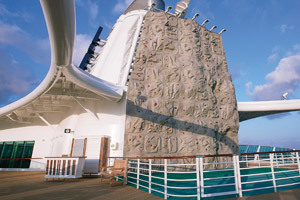 If you're looking for a rush, give Jewel of the Seas' towering (150-200 feet above sea level) rock-climbing wall a try. There are paths available on the wall for climbers of all skill levels. 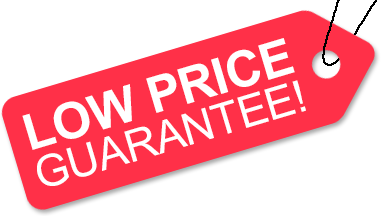 Low Price Guarantee on all Jewel of the Seas Cruises! Book any Royal Caribbean cruise with us and you'll get the best deal possible, regardless of the ship or sail date! Because of our "Low Price Guarantee," nobody beats our Jewel of the Seas cruise prices, so look around and you're sure to find the best Jewel of the Seas cruise deal possible when booking with us! Pre-Paid Gratuities on Jewel of the Seas Cruises! 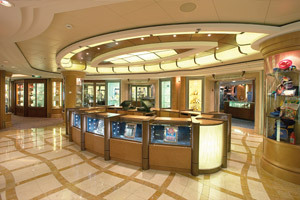 Jewel of the Seas Onboard Credit Sale! Get an Onboard Credit when you book a Jewel of the Seas cruise with us. The value of the Onboard Credit depends on the particular cruise and accommodations you book. Onboard Credit values are listed on Step 3 of the online booking process. We do not charge booking fees on any cruises! You're sure to enjoy an affordable Jewel of the Seas cruise when booking with us! Our special offers on Jewel of the Seas cruises may not be combinable. Certain restrictions apply to each offer. View terms and conditions during the online booking process. 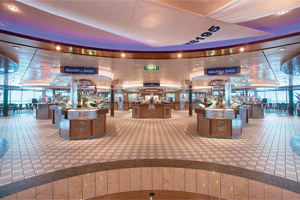 Click a price below to view the Jewel of the Seas cruises during that month in that destination. Royal King-size bed, private balcony, private bathroom with whirlpool tub, double sinks, separate shower and bidet, separate living area with queen-size sofa bed, and concierge service. Approximate Size: 592 square feet. Two bedrooms, one with two twins beds that convert to Royal King-size bed, one with third and fourth Pullmans, two private bathrooms, one with shower, one with tub, living area with double sofa bed, and concierge service. Two twin beds (can convert into Royal King-size), private balcony, sitting area (some with sofa bed), and concierge service. Two twin beds (can convert into Royal King-size), private balcony, private bathroom with bathtub and a sitting area with sofa bed. Please note: Staterooms 1098 and 1598 have obstructed views. Two twin beds (can convert into Royal King-size), private balcony, sitting area with sofa, and a private bathroom. Please note: Most staterooms on deck 7 have an obstructed view. Staterooms 9252 and 9652 have partially obstructed views. Two twin beds (can convert into Royal King-size), private balcony, sitting area, and a private bathroom. Please note: Staterooms 8166 and 8666 have partially obstructed views. Two twin beds (can convert into Royal King-size), additional bunk beds in separate area, separate sitting area with sofa bed, and a private bathroom with shower. Two twin beds (can convert to Royal King-size), sitting area with sofa, vanity area, and a private bathroom. Please note: Staterooms on deck 2 have a porthole instead of a window. Two twin beds (can convert into Royal King-size), sitting area with sofa, vanity area, and a private bathroom. One twin bed, vanity area, and a private bathroom.